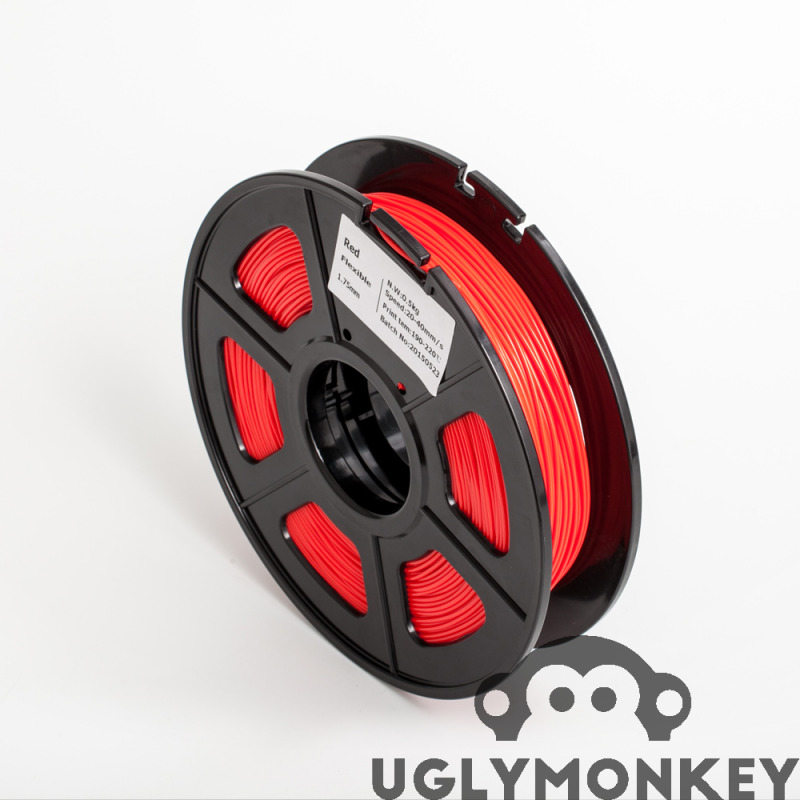 This flexible filament can be used to print the most amazing things, from wearable items, cell phone covers, toys, grips for handles, tires for R/C cars, pulley belts to shoes! 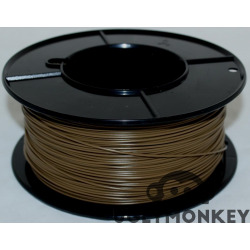 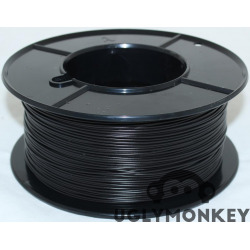 It might be tricky to feed the filament at the beginning due to the flexibily of the filament, so the filament should be supported from the extruder gear to the hot end with a PTFE tube. 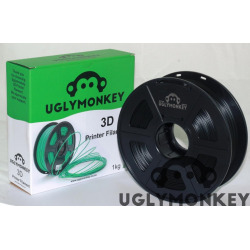 Slow printing speeds are required (20-30mm/s) and print with a larger layer height. 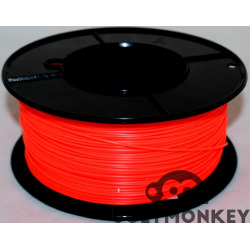 We recommend 200 Microns or thicker. 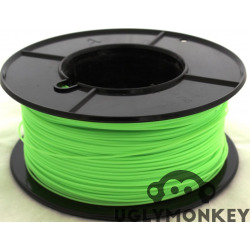 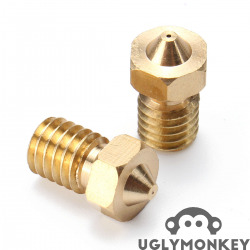 Recommended Speed :50mm/s on the Uglymonkey 3D Printers. 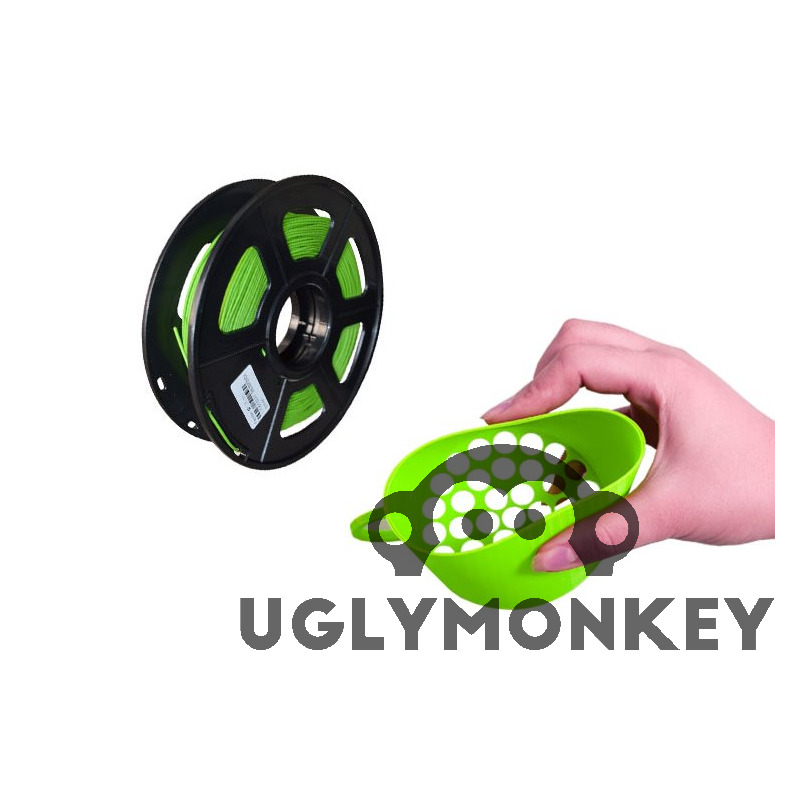 Note: An additional cooling fan can be used, but is not required.